Anyone who’s driven down Radnor Road recently has probably noticed the repair being done there. 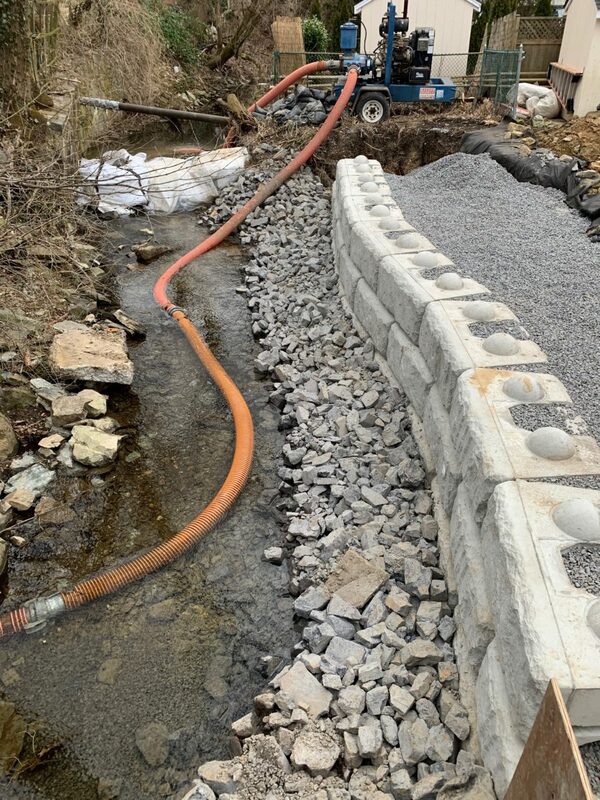 The new retaining wall replaces a set of gabions that were damaged and failed. Initially, I was concerned about this project. My fear was that, by installing new permanent infrastructure, the Township would further channelize Gulph Creek, exacerbating the existing flooding problem. Our Township Engineer, however, is (as usual) two steps ahead of me. Before undertaking the emergency project, he conferred with Meliora, the firm designing the flood mitigation project. Meliora has confirmed that this construction will not impact their design. As a result, we’re able to make an emergency repair to a failing system without undercutting our future project.